• Useful for storing tools in the house and garden. 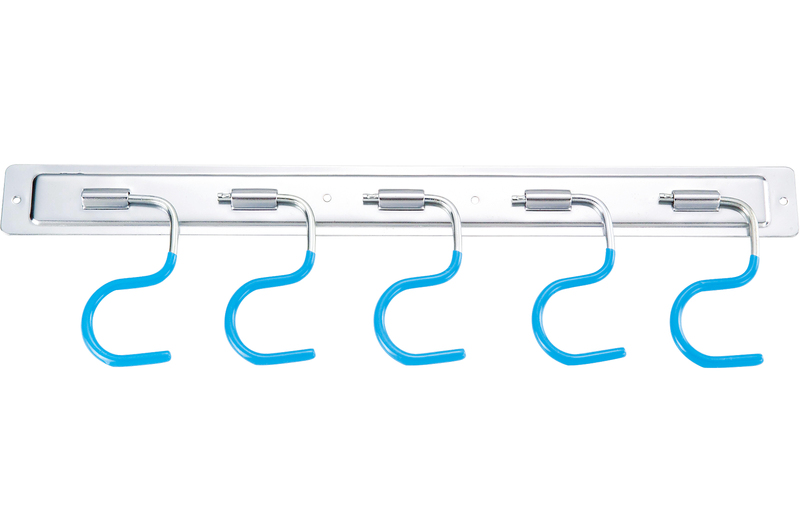 • Galvanized steel plate and five hooks with vinyl coated. Competed with mouting screws.